Yesterday, after taking the little travelers to school, I walked in through the front door and found the beagle standing on the dining room table. To get in this position she has to stand on the couch and leap across the room. I know this because I caught her mid flight last week. The beagle is not a lap dog, the beagle is a mid sized dog. She looks a little inconspicuous when she’s at eye level in the middle of the room. As I opened the door, she immediately froze. She didn’t move an inch, she just stood motionless as if she was in the middle of a jewel heist and the security guard was making his nightly wander through the halls. Completely motionless, she didn’t blink. Her tail remained in exactly the same position, not the slightest hint of a wag. At this point I imagine she seriously believed I wouldn’t notice there was a tri colored, four legged, mid sized dog with cornflakes on it’s nose in the middle of the room. I have given up on scolding the beagle for her food issues. I’ve come to accept that she is a beagle and therefore has absolutely no control over food. 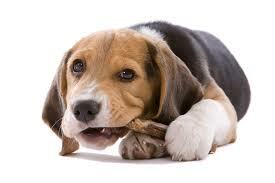 If we let her, the beagle would eat continuously, she has shown us this on a regular basis. The beagle has eaten an entire frozen chicken and nine donuts only to arrive at her bowl an hour later looking for dinner. I have had it explained to me by a vet, that beagles don’t have the mechanism that others have, to tell them to stop eating. There’s no trigger that says “I’m full”or “that’s enough”. I think I might be a beagle. I have just happily eaten four Ferrero Rocher’s without even thinking about it. I could blame it on being sick, on having lost my voice and feeling a bit down but honestly – I reckon I could be as happy as a guy called Larry and still eat four Ferrero’s and not think about it. I have no guilt, no shame and no problem with my Ferrero activities either. Is this wrong? I know I have friends that would find my chocolate overload a little piggy. Dare I say it. Distasteful (it wasn’t, they were really yummy). As I get older I notice that particular women around me are eating less. None of them are admitting to this, but I can see it. Plates are left half full, orders are cut to half serves. “I ate earlier” is often the excuse. There are two possible reasons for this, their appetites have inexplicably shrunk with age or they find that maintaining their weight is getting harder as they get older. I understand that choosing the salad is a healthy option but it’s more than that. I watch women scan their menus ruling out bread, potato, pasta, red meat, dairy, sugar and any other food that has been recently been labelled as toxic or unethical. “I’m not eating sugar” or “I’m not doing carbs” is a personal choice, but surely you can still eat? And are you going to be scanning the menu like this for the rest of your life? Surely, you can give yourself a break and allow those extra few pounds that come with age? Please tell me I’m not going to be 70 and still listening to women discussing their weight. When do we get old enough to get comfortable? I think about Kate Moss and her words of “nothing tastes as good as skinny” and all I can think is Kate, you’re eating the wrong food. How about a nice big breakfast at the markets with a really good coffee? Or a hearty slow cooked Moroccan lamb with a nice glass of red wine on a winters day. Fish and chips at the beach? A green curry with a glass of white (can you see a theme here). Pancakes in bed on a Sunday morning. I love food but most of all, I love sharing food with friends. I’m not saying let’s get together and eat like vikings returning from battle, but please, let’s eat.